This blog post is part of the Suicide Prevention Awareness Month blog tour in partnership with Debt Drop. If you are feeling suicidal, please call the National Suicide Prevention Lifeline at 1-800-273-8255 or text HOME to 741741. Did you know (according to Money and Mental Health Policy Institute), if you’ve had a “major financial crisis” within the past six months, you are nearly eight times more likely to experience suicidal thoughts? Imagine a freelancer who doesn’t know when their next gig will come in. They struggle with the feast or famine cycle many freelancers experience. Imagine a startup founder (Someone who has literally given their blood, sweat, tears, and every last dollar in the hopes of getting noticed by an investor). They experience financial crisis more often than not until they “make it”. But some things you can’t “fake” like passive suicidal ideation. Passive suicidal ideation is the desire to die. It’s not accompanied by a plan to end your life, but the thoughts are real and intense. I’m not a finance blogger like everyone else on this tour, but as a business owner, I know all too well the frustrations of not having enough money and wondering if I should call it quits. I’ve experienced the joy of paying off one student loan, while feeling the sorrow of not being able to afford my mortgage payments. I know from personal experience that my former company, A & D Media, was formed with less than $200 and dream. Which was pretty much the last bit of money in my and my business partner’s pockets. I took a risk like many of us who are entrepreneurial do. In some ways, I’ve failed. In others, I’ve succeeded. It really is a ride, this business life. While I’ve never attempted suicide, many nights I was plagued with depressing thoughts. I used to wish and dream about never existing. I felt like the world wanted me gone, that the world hated me. I wished I didn’t have to exist in a world where I felt I was born to be hated. This was passive suicidal ideation. But I didn’t know that at the time. Eventually, with the help of therapy and finding my “why” (purpose), I overcame these thoughts. My life changed when I discovered that I was surrounded by purpose. And I learned to set goals to help me with my purpose under all 6 slices of life for the year: personal, social, physical, spiritual, professional, and financial. 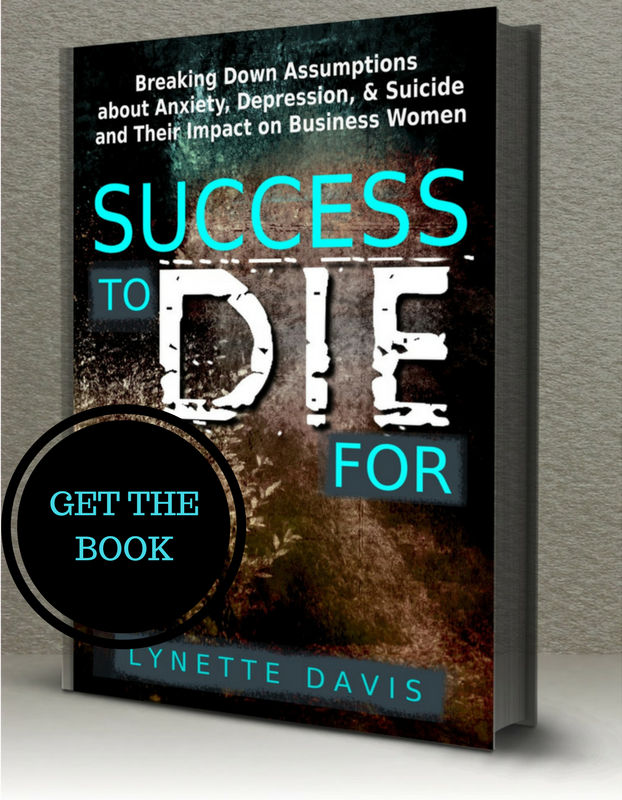 A culmination of my goals and purpose led me to write my book, Success to die for: Breaking down assumptions about anxiety, depression, & suicide and their impact on business women, which advocates for mental wellness in business so as to prevent further entrepreneur suicides. Throughout my entrepreneurial journey, I’ve learned (and share in my book) that whatever load you’re carrying around in your life comes right along with you into your business venture. And that includes mental health issues. So while we can appear to “have it all together” financially, we can also be depressed, experience chronic disease, have anxiety, addictive behaviors, etc. I’m lending my voice for the business owners who haven’t “arrived” yet. Who are still climbing the ladder of financial success. All while maintaining their mental health. Heck, I’m lending my voice for those who have seen financial success, and still feel empty and unfulfilled inside. 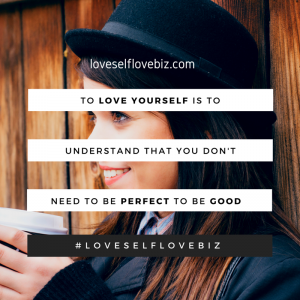 Join the Love Yourself Love Your Business mental wellness movement tribe and surround yourself with fellow entrepreneurs breaking mental health stigmas. 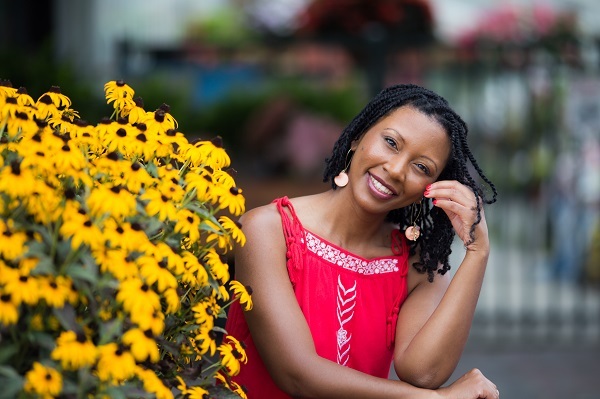 One of the main reasons I was motivated to begin working on my book (still in the works) is that I wanted to advocate for mental wellness amongst women in business so to prevent further entrepreneur suicides. Whenever I thought about business owners, CEO’s and entrepreneurs I will be the 1st to admit I assumed “go-getter”, “super strong”, “ultra productive”, and “has it all together”. That was until I became a business owner myself. I quickly learned that whatever load you’re carrying around in your life comes right along with you into whatever business venture you’re embarking on in some form or another. And that included mental health issues. So while yes, we can be (and are) most of those descriptions (I don’t think anyone has it ALL together) we could also be depressed, experience chronic disease, have anxiety, addictive behaviors etc. And I wanted to better understand why. One of the categories of ‘why’ I plan to explore more of in the book was revisited after recently accompanying my awesome client, Amanda Abella to FinCon 2016. When we hear of people in business bearing the load of money problems, and money mindset issues we typically hear about business failure. As a result, resources like Business Development Centers formed to offer support. There are also women like Melinda Emerson who dedicated Foundations to igniting a movement to end small business failure. What I don’t find too often however, are open and candid discussions about how money problems in business could also play a huge role in suicidal ideation and attempted suicide. I was originally going to touch on this category very briefly only because I wanted to focus on the “why” of entrepreneurs who had great financial success yet still battled mental health disorders, but I’ve since been convinced otherwise. 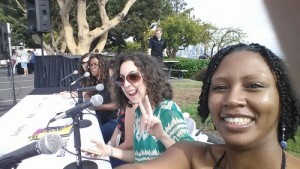 After Michelle Jackson coaxed me out of my comfort zone by offering me an opportunity to live podcast right alongside herself and a panel of amazing women thought leaders, I was able to talk about my mental health advocacy work. As a result, I met some other awesome “money nerds” who happened to also be mental health advocates. Through fellow panelist Kate Dore’s blog post I learned more about The Link Between Mental Illness and Money Problems and was introduced to an organization called Money and Mental Health Policy Institute. 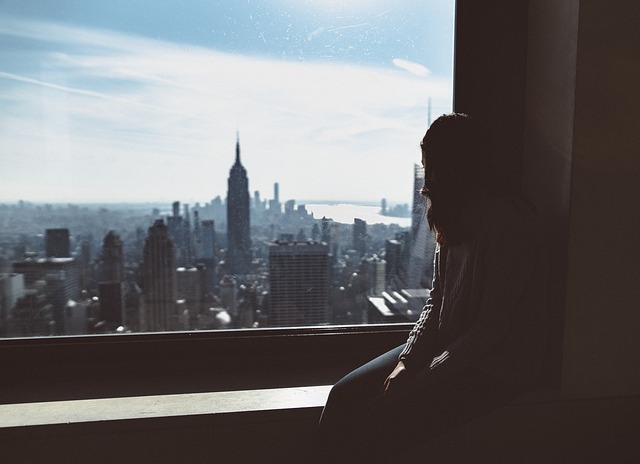 According to their research, if you have had a “major financial crisis” within the past six months, you are nearly eight times more likely to experience suicidal thoughts. I imagine a Startup Founder who has literally given their blood, sweat, tears, and very last dollar in the hopes of getting noticed by an investor experiences financial crisis more often than not until they “make it”. I know from personal experience that my own company, A & D Media was formed with less than $200 and dream which was pretty much the last bit of money in our pockets. I then learned that Kate’s post was in collaboration with Melanie Lockert of Dear Debt who encouraged colleagues to join the blog tour project for World Suicide Prevention Day which was September 10th. While the date for this year has come and gone, all of September is Suicide Prevention Awareness Month. I applaud these women for stepping up to publicly advocate for mental health and suicide prevention on their professional business blogs. 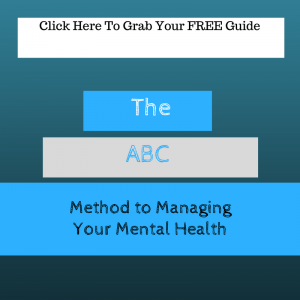 In the business and entrepreneurial world there is huge stigma around mental illness and illness in general. I feel this is even more pronounced for microbusiness owners such as virtual service providers who have to constantly battle for workplace wellness fairness. I plan to link up with these two lovelies and a few others awesome ladies I met at FinCon to better explore the money/mental health correlation for my upcoming book set to publish during mental health month in 2017. 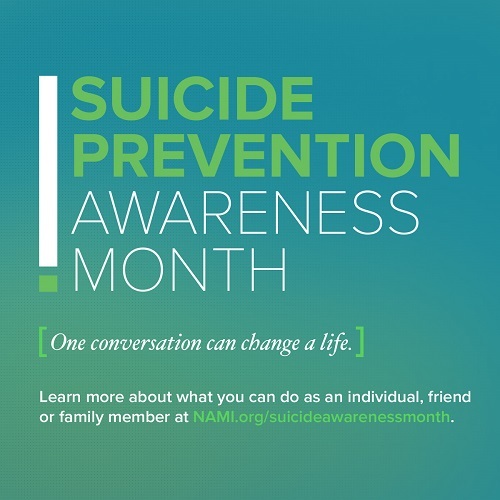 If you or someone you know is contemplating Suicide and/or in an emergency, call The National Suicide Prevention Lifeline at 1-800-273-TALK (8255) or call 911 immediately.